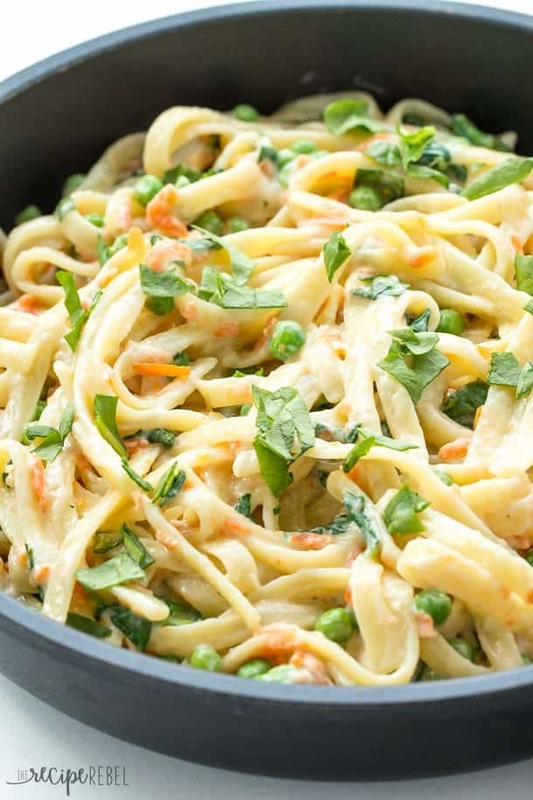 This One Pot Pasta Primavera is a creamy, veggie loaded dinner recipe that comes together easily with only 7 ingredients! With spinach, peas and carrots, or add your favorites — mushrooms, zucchini, tomatoes. Includes step by step recipe video. Now, maybe you all know already that I’m not a huge fan of veggies. But when they’re tossed in creamy Fettucine? I’m down with that. 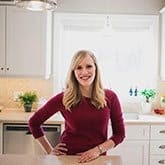 I like to make a lot of my dinner recipes healthier by adding in finely chopped or shredded veggies to boost the nutritional value, add flavor and cut down on calories. In this one pot pasta, the veggies really are the star — and you can use any that need to be used from your garden! Because this recipe was one of my collection of one pot pastas that I created with my Ultimate Mix and Match Guide to One Pot Pastas, I wanted to leave my notes here in the post as I had them originally, just so you have the most success with the recipe! But because it’s 30 Minute Thursday today, you will also find a collection of easy and delicious 30 minute meals from friends down below — because it’s summer and who wants to spend all of their time cooking?!? I wanted to use a long noodle for this one, and I also wanted to experiment with white pasta, so I used regular white Fettucine pasta. I honestly haven’t found a big difference in the amount of liquid needed for whole grain v. white pasta, but you’re safest to start with the 1:1 ratio, and increase near the end of the cooking time if need be. The difficulty I had with the long noodles is trying to keep them from sticking together. With short noodles, this isn’t as much of an issue. But long noodles seem to work slightly better boiling in a large pot of water. As you can see, it still worked out, and it was totally delicious, but for this reason short pastas might work marginally better than long. I used 3 cups milk and 1 cup broth this time. As you can see, the sauce is a little thicker than my Pepperoni Mac & Cheese with Bacon. I find the thicker sauces are best if you are serving them right away, because they continue to thicken as they sit, and in just a few minutes they become quite thick. This is why I find more of a 1:1 ratio of milk to broth works a little better — the sauce stays smoother and is better reheated. If you want a nice thick creamy sauce, and you want to reheat it later, the best way to do this is to add a splash (maybe 2 tbsp) of milk or water to the container or pot when you’re reheating it. This will keep the pasta from becoming too dry. I didn’t use any meat in this dish, but chicken would work really well if you wanted! For my primavera, I added shredded carrots at the beginning of the cook time, and I added frozen peas and chopped spinach just before I removed the pan from the heat. I thought they all worked really well and were cooked perfectly! 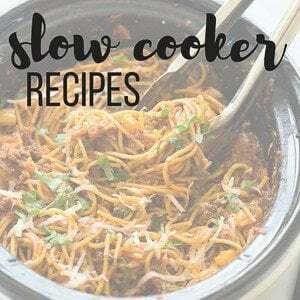 You could also add any of your favorites: mushrooms, diced zucchini, snap peas and cherry tomatoes would work really well! I really didn’t use any cheese or extras, though this is a great dish to experiment with. We really, really enjoyed it just as it is, and my 3 year old actually preferred this veggie loaded pasta to the Pepperoni Pizza one we had the previous day! 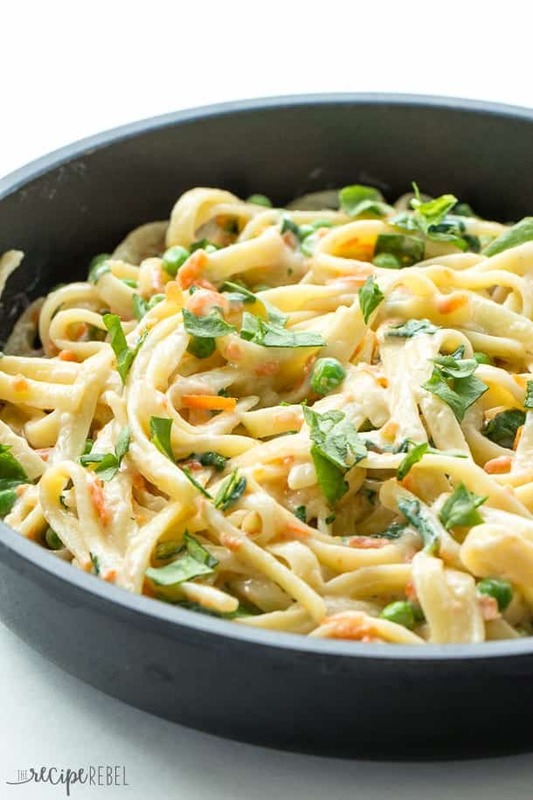 This One Pot Pasta Primavera is a creamy, comforting one pot dinner made in 30 minutes or less! In a large pot, combine pasta, milk, broth, salt and carrot and bring to a simmer over medium-high heat, stirring often. Reduce to medium heat and continue cooking and stirring, uncovered, for 10-13 minutes or until liquid is absorbed and pasta is cooked. If liquid is absorbed before pasta is cooked, add an additional ½-3/4 cup liquid and continue cooking. Remove from heat and stir in peas and spinach, stir. Cover and let sit 2 minutes until peas are warmed through and spinach is wilted. Nutrition information is estimated and will vary depending on exact serving size, types and brands of products used. Reduce to medium heat and continue cooking and stirring, uncovered, for 10-13 minutes or until liquid is absorbed and pasta is cooked. If liquid is absorbed before pasta is cooked, add an additional 1/2-3/4 cup liquid and continue cooking. I mixed this recipe up a bit. I used cashew milk and gluten free pasta because as you may have guessed I’m both dairy and gluten free! I used the shredded carrots, but instead of spunch and peas I chose asparagus and grape tomatoes. Delicious! Thanks Lisa! Perfect for using up garden veggies! Do you know how many milligrams of sodium and fat and calories are in this recipe? It looks very good. 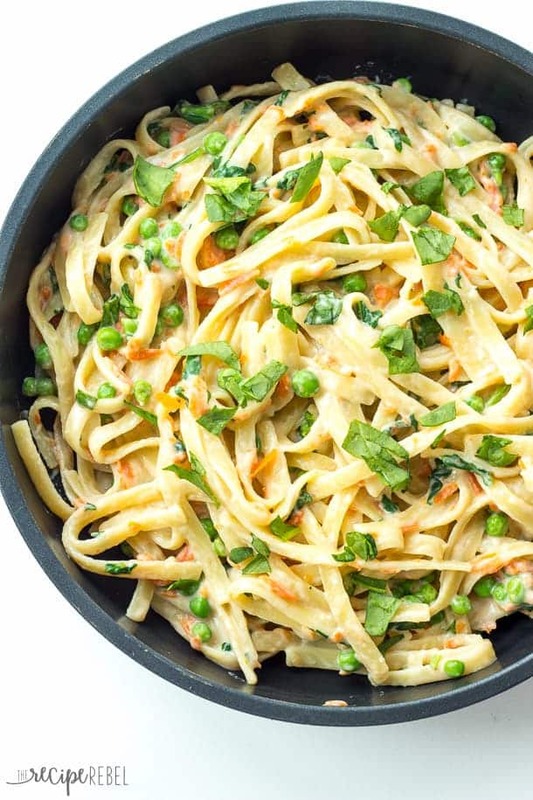 I love one pot pasta primavera!! The veggies definitely balance out all the cheese and it’s such a tasty meal! I live for one pot pastas, especially when they’re lightened up and packed with veggies! This looks so creamy and delicious! GIRL! You are the Queen B of one pot pastas! Love the shredded carrots in here. That’s a great idea for extra veggies! This was really good (a few years later). Was looking to get my kids to eat some veggies. I added some garlic & shredded zucchini as well as parmesan cheese. It was loved! I’m so glad to hear that Lauren! So delicious! I used 2% milk and 2 tbsp butter for extra creaminess. I also added grilled garlic chicken. This looks so fabulous! I think I’ll give it a try next week once the Thanksgiving madness is over, and maybe add some sauteed shrimp. Can’t wait to give it a try! That’d be a great addition! Thanks Michelle! Thanks for this formula Ashley! I am totally going to try out how tofu fits into the formula! I bet it would also be great with chickpeas or white beans that have been pre-cooked or canned! You are so welcome Nita! It is pretty easy to mix and match so I’m sure those would work great! I love one pot meals! This looks amazing!!! 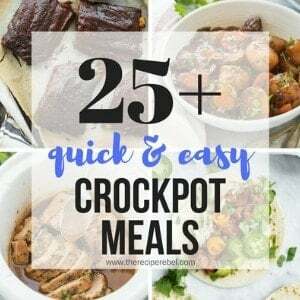 We do love easy one pot meals around here! You just can’t beat the combo of veggies and pasta! One pot meals are so great to have in your recipe arsenal! This one looks delicious for a nice summer evening. 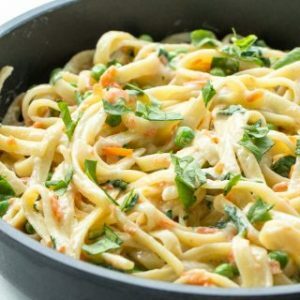 Great pasta dish and you just can’t beat the one pot idea. 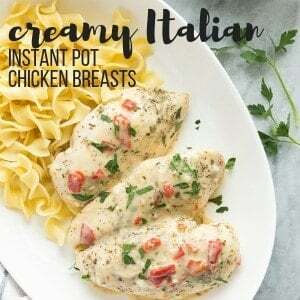 This looks so tasty, and I absolutely love that it comes together in one pot! How am I ever going to decide which one pot pasta to make first? This one is looking pretty darn good. And I am obsessed with these photo’s Ashley! Hi Ashley! I’m a big fan of bucatini pasta, so I would sub that in. I think the only vegetable I don’t like is okra, yuck! I’m loving all of your one pot pastas, Ashley! 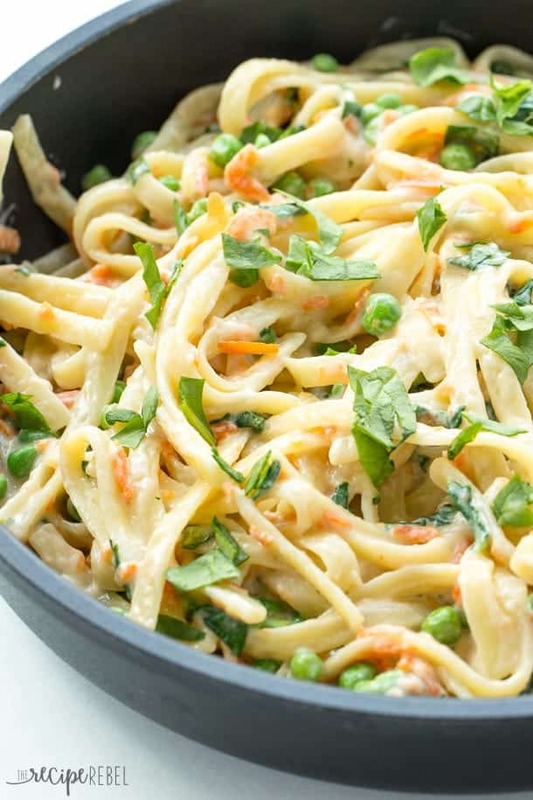 Cream sauces are my favorite, so this primavera pasta is perfect for me! Mmmm, I love one pot pasta. And this looks heavenly, Ashley. I wish I could eat this right from the screen. So gorgeous and delicious.